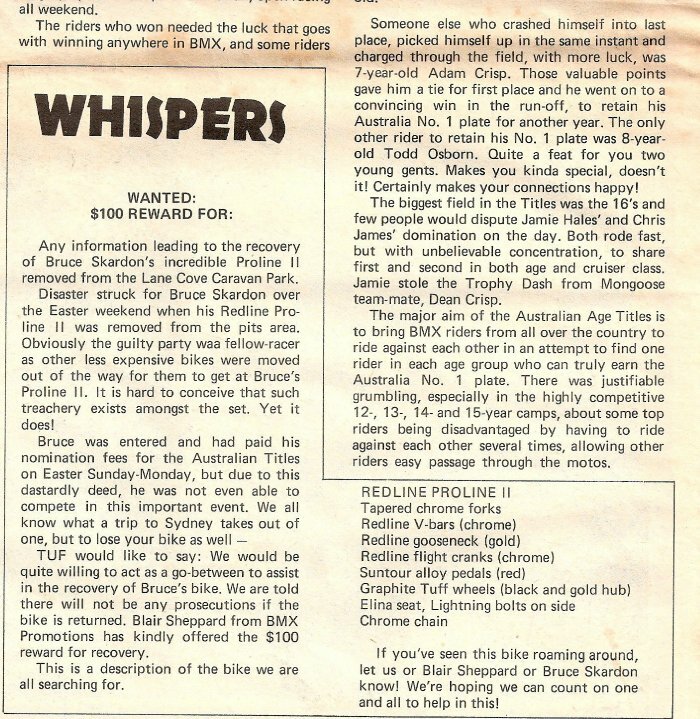 By 1981, the sport of BMX was now a booming business in Australia. It was expected that retails sales would gross tens of millions of dollars. The price of a BMX bike ranges from $100-1000 depending on components. Sales of BMX bikes now account for more than 50% of all bikes sold in Australia. 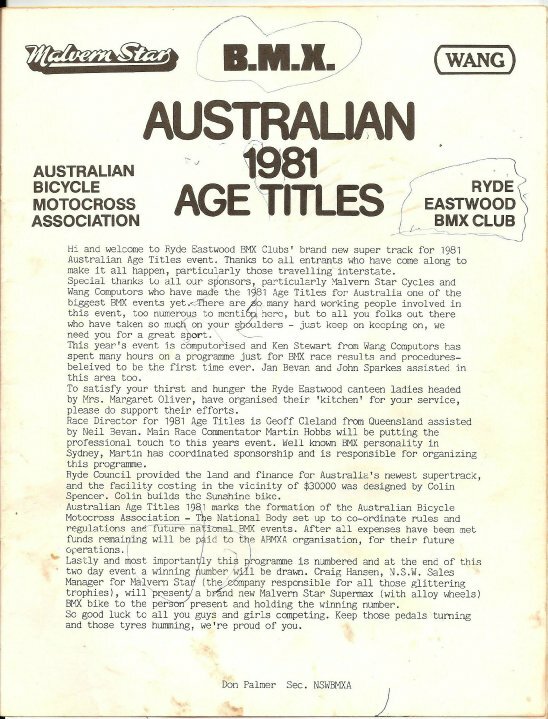 By 1981, there are more than 39 clubs around the country that have joined as member clubs, with rider memberships now in the thousands. April 3rd: International BMX Federation (IBMXF) officially founded. 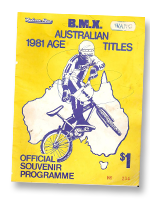 The first Official Australian BMX National Championships were held in Ryde, NSW. 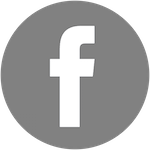 The ABMXA was officially formed at a meeting in Sydney between representatives of the VBMXA, QBMXA and the NSWBMXA. Peter Howell is the first ABMXA president. 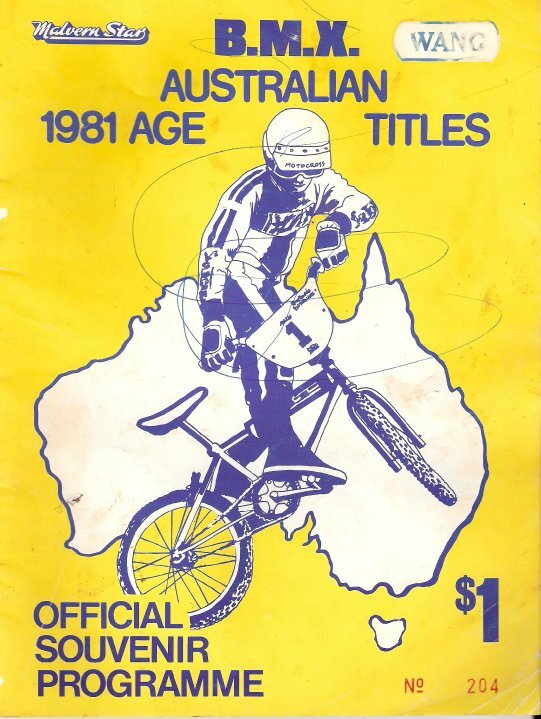 This installment of the "National Age Titles" as they were known, is the first to be run by the Australian BMX Association. The ABMXA is now the responsible body for organising the rules and regulations of the sport in Australia. The Ryde Eastwood BMX club built a brand new track, designed by Colin Spencer (of Sunshine bikes). The land was donated by the local council and the track was built for around $3000. 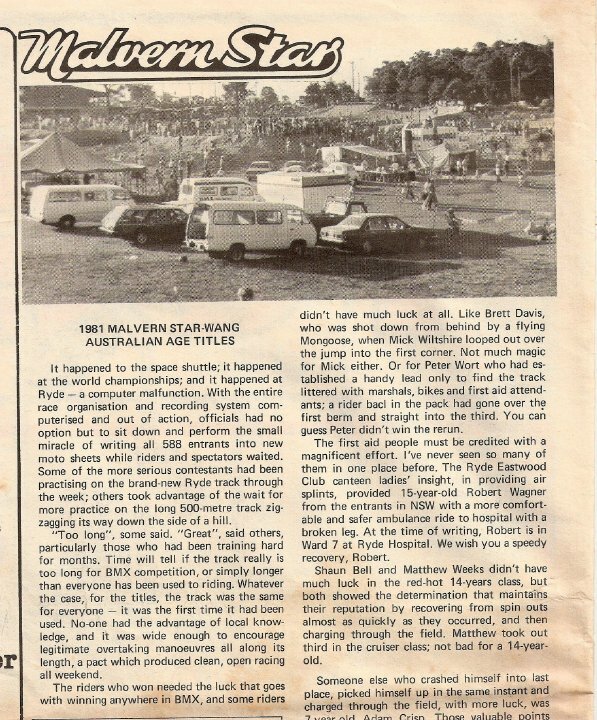 Major sponsors for the 1981 titles were Malvern Star Cycles and Wang Computers. Coca-Cola / JAG BMX World Championships IV, Indianapolis - Indiana, USA. A number of Australians made the trek over the USA to compete in the "World Championships". Emerging Aussie superstar Jamie Hales took 2nd in the B Pro Trophy Class, and Michael Baker placed 4th in the 15 class.